But CEO Elon Musk pledged to post net profits in future quarters, and on a conference call, he apologized to two analysts he cut off on the company’s first-quarter call. Tesla’s shares jumped 9.3 percent to $328.85 in after-hours trading. The net loss more than doubled from the same quarter a year ago and was slightly larger than the first quarter. 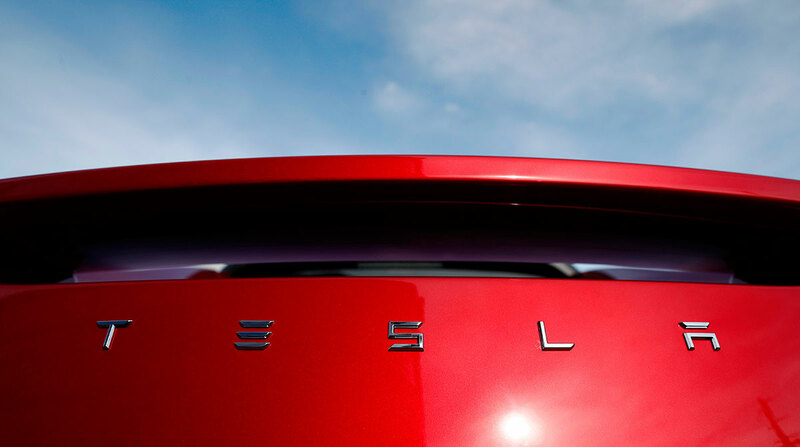 But Tesla’s cash burn in the second quarter slowed from about $1.1 billion. In a statement released after the markets closed Aug. 1, Tesla said it expects to produce 50,000 to 55,000 Model 3s in the third quarter, an increase of at least 75% from the first quarter. The Palo Alto, Calif., company said it lost $4.22 per share from April through June as revenue grew 43% to just more than $4 billion. Adjusted for stock-based compensation, the company lost $3.06 per share. That was worse than Wall Street estimates. Analysts polled by FactSet expected a $2.88 loss per share. Tesla also said it is working on a new version of its Autopilot semi-autonomous software that will have greater safety features. During the second quarter, Tesla laid off 9% of its workforce as it worked toward Musk’s promise of making money. The company has never turned an annual profit and has had only two profitable quarters since becoming public in 2010. Tesla also has asked parts suppliers for refunds.